Defender Ben Mee says the Clarets are heading in the right direction after going four games unbeaten in the Premier League. Burnley picked up a 10th point from the 12 on offer since Boxing Day as they drew with Watford at Vicarage Road at the weekend. And it could have been so much better had the visitors converted one of their 10 shots on goal or had Chris Wood’s late effort stood. With the linesman making the wrong call, as Hornets defender Jose Holebas played the New Zealand international on-side, the Burnley centre back said: “Woody was on-side when Dwight [McNeil] shot. “Sometimes you get them, sometimes you don’t. But we were pleased with the performance. “The front two were fantastic. We created chances and maybe we could have been a bit more clinical, you could argue, but the boys up top did really well. The Clarets climbed out of the bottom three with victory over Huddersfield Town at the start of the month and they haven’t looked back since. They’re now three points clear of 18th place Cardiff City, who were well beaten by Newcastle United at St James’s Park in their last outing, and level on points with Southampton and Crystal Palace. “I think we are moving really well in the right direction, keeping picking up points and keeping moving up the table,” said Mee. “It’s positive. We are five unbeaten now and we want to carry that on. “We’ve got some big games coming up and there’s a lot of confidence around the place. 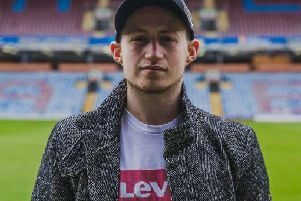 Burnley kept a sixth clean sheet of the season in the top flight, a ninth in all competitions, and Mee feels that record is a reflection of the hard work being put in. “It was nice to be solid,” he said. “It’s a difficult place to come and we kept a good clean sheet and defended really well. “The hard work is there and the desire to go and play for this club and play for each other and the fans is always there and will always be there.